Langtang lies at Central Himalayas of Nepal toward the northern side of the Kathmandu valley. Langtang valley is also called the ‘valley of glaciers’. The northern side of the Langtang Region is largely protected and managed by the Langtang National Park. Langtang National Park has number of high peaks including Langtang Lirung, Dorje Lakpa and many more. The park consists of wide varieties of climatic zones, from subtropical to alpine. Approx. 25% of the park is forested. The park also contains animals like Himalayan black bear, the goat-like Himalayan tahr, Rhesus monkeys, and red pandas. 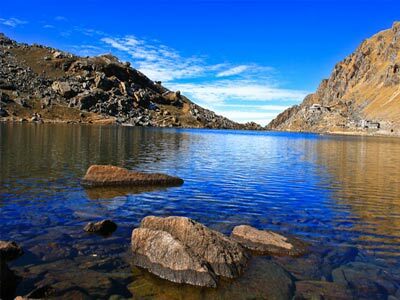 Langtang Region Trek proffers the most amazing scenery and escapade trip passing through Gosainkunda Lakes which is regarded as sacred to Hindus. You can also explore to the Buddhist Monastery named as Kyanging Gompa and also to the upper valley to Langshisa and beyond. Langtang being one of the nearest trekking destination from Kathmandu and uneven combination of natural beauties can be one of the adventurous trekking spot for the travelers who loves to explore the nature. Langtang Heritage trek is a newly opened trekking route in popular Langtang trekking region. This trekking route covers culture, religion and daily lifestyle of Tamang community living in Langtang region. Langtang heritage trekking trial is located at north of Kathmandu. It is an astonishing journey through Tamang villages including their culture and tradition.